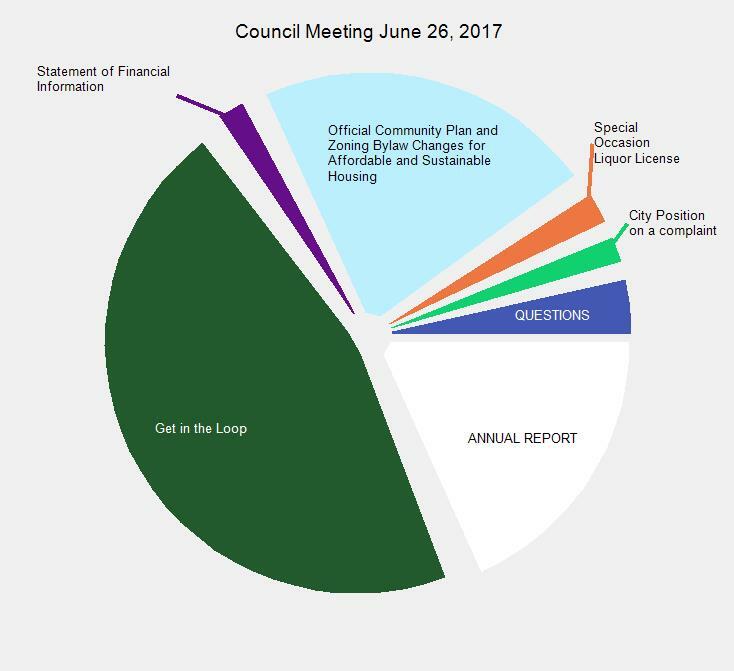 City Council only held one meeting on June 26. Before the meeting really got under way they presented the Annual Report. Then they spent nearly half the meeting on a mobile web platform marketing item call ‘In The Loop’. This entailed a phone in presentation by a representative of the company. The last item (before questions) was the official statement regarding a complaint to council resulting from remarks made at a previous council meeting. NOTE: apologies for the misspelling of the month June at the bottom of the video. This entry was posted in City, government and tagged committee, complaint, cotw, into the loop, whole on July 19, 2017 by gftvboss.